Two-thirds of Americans are overweight, and nearly one-third are obese. There's never been a greater demand for increased awareness of health issues related to being overweight. Complete Nutrition has the right products and expertise to help Americans reverse this trend—and the formula works. Founded in 2004 by Cory Wiedel, Complete Nutrition is one of the fastest growing franchises in the nation. Beginning in 2008, the Omaha-based company began franchising its proven business model throughout the Midwest. 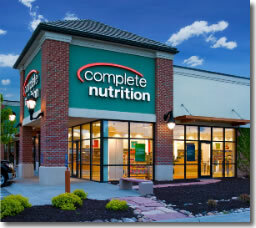 By 2009, Complete Nutrition had 15 franchise stores in a few states. Today, that number has increased more than tenfold and continues to rise. We are quickly expanding nationwide and are making a significant impact on the $8.4 billion weight loss and sports nutrition industry. Complete Nutrition features retail locations in carefully selected markets and upscale areas to provide a unique combination of weight loss, sports nutrition and healthy aging products. Complete Nutrition's upscale retail environments provide a hub for a wide array of exclusive nutritional supplements. The welcoming, modern layout and sleek design create a positive customer experience that reinforces the premium quality of our products and supports our business-friendly sales margins. Complete Nutrition's in-store experience is second to none. Our consultants are knowledgeable, well-trained, and highly motivated. Team members not only emphasize health and nutrition in their personal lives, they are also passionate about helping others achieve their health goals. This translates into engaged consultants focused on helping others achieve the results they want to see. As a franchising opportunity, Complete Nutrition offers an amazing combination of profitability and long-term sustainability, with attractive cost of entry, opportunity for exclusive territories, and comprehensive corporate support—all in an industry segment that continues to soar. 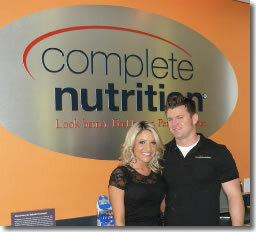 The executive team at Complete Nutrition has more than 15 years of experience in the nutrition industry. It was our vision to develop a business model suited for the small, ambitious investor that led to the Complete Nutrition concept. Today, the Complete Nutrition business model yields superior, exclusive product lines, a consultative "WOW" customer experience and highly profitable stores. The success of this model is proven in the meteoric growth of the Complete Nutrition franchise network. Just a short time ago, Complete Nutrition had just 15 stores in a few states. Today, after just two short years, that number has increased more than tenfold and continues to rise. This success isn't short-lived either - our system for sales, marketing and operations is constantly evolving, ensuring that every Complete Nutrition franchise is supported for long-term success. Click on Request Information for FREE info on how to open a Complete Nutrition franchise today! Please Note: This Complete Nutrition franchise opportunity and other franchise business opportunities, businesses and franchises for sale on this web site are not to be considered as an "offering", "franchise offering", suggestion or recommendation by Franchise Leader™. This advertisement depends entirely on the truthfulness of the information provided by our advertisers which includes, but is not limited to, franchisers, franchise brokers, franchise consultants and business brokers. Franchise Leader™ recommends that you consult a lawyer, financial consultant, accountant or professional advisor before buying a franchise or business opportunity or any type of business. By using this form or any part of our website, you have agreed to all terms and conditions of Franchise Leader™. Please review our Terms & Conditions for more information.